Huawei has a fine phone on its hand in the Mate 10 Pro. 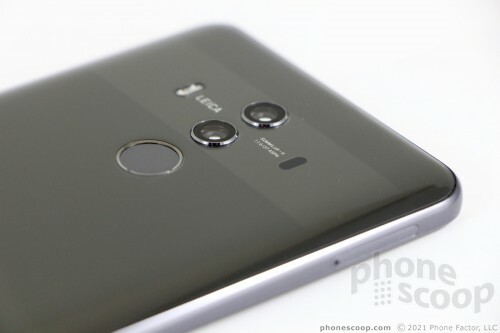 It's surely a star in Huawei's lineup, though it could shine just a wee bit brighter were it not for a few small dark spots. The hardware is excellent. It's not as distinct as the Note8 or Pixel 2 XL, but it's smaller, cleaner, and overall easier to use day in and day out. The display is great, wireless performance was good, voice performance took me by surprise, and battery life is among the best available for a device in this class. I love that Huawei is shipping the Mate 10 Pro with Android 8 Oreo, but it's so heavily slathered with Huawei's EMUI that you'd hardly know Oreo is there at all. The phone's user interface requires patience and skill to master thanks to numerous settings and controls. However, EMUI 8 is powerful and gives people more options than most other phones. The Note8 is the only device I can think of that rivals the Mate 10 Pro as far as the rich software feature set is concerned. The camera software is good, though I see little sign of any truly useful artificial intelligence. The phone takes above average pictures, and yet Google and Samsung's phones have simpler cameras that take better pictures. If you were hoping to save some green by going with Huawei, you'd be mistaken. The Mate 10 Pro costs around $860, which is only a bit less than Samsung's $930 Galaxy Note8. You gotta pay to play with the big phones. I'd recommend the Mate 10 Pro to anyone seeking an unlocked alternative to Samsung, Google or LG. Moreover, if the Note8 or Pixel 2 XL are just too darned big for you, take solace in knowing the Mate 10 Pro is more manageable for most people.